Gyno may occur after running a cycle due to increase estrogen it may appear during the cycle or after complete cycle. You need to solve the problem before any other cycle. Two methods to approach this problem. The second way is to use an inhibitor known as aromatase inhibitor (AI) such as Letrozole which will bring you estrogen level to normal level. 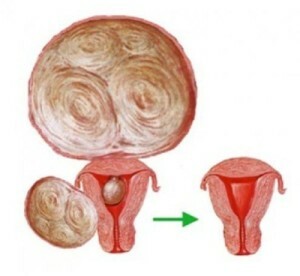 In this method the tissue are inhibited and estrogen stop increasing and gyno reversal is easy to manage. But the most important and efficient way to reverse gyno is to use combination of the above two mention methods. Use an Aromatase inhibitor to get estrogen under control which results in low level of estrogen and it turn around to the low end of normal. Any AI can be use for this purpose e.g. letrozole, exemestane (Aromasin) or anastrazole ( Arimidex) all of these inhibitors work efficiently and equally to control the estrogen. After that use the SERM to actually reverse gyno use of tamoxifen( Nolvadex) or raloxifene depends upon you but researchers say that raloxifene works better but it makes no difference both are equally important and all depends on your liking. Now at this level if you notice your estrogen is crashing you may back off the letrozole earlier,and avoid its excessive use otherwise it may result in permanent estrogen imbalance which would be difficult to recover. Symptoms of low estrogen level may include lethargy, low libido, and depression, pain in joints, low blood regulations, thyroid problems and weight loss. Run Tamoxifen at 40mg/day the first week and after 20mg/day the first week. Continue running the tamoxifen for at least two weeks after it has been reversed so that its reversal will be permanent at this stage you can stop AI if you are experiencing too much problems from low estrogen. Run Raloxifene at 80mg/day the first week and 60mg/day after that.